One study found that those with chronic selfitis also had lower self-confidence scores. Is your duck lip game on point? Do you snap and post multiple selfies a week? If so, you might have “selfitis,” a condition established by researchers at Nottingham Trent University. But, as with most things in life, too much of a good thing usually isn’t so good. Or is it? Similar to the categorization of psychological ailments, the Nottingham Trent University study established the Selfitis Behavior Scale (SBS) as a “reliable and valid instrument for assessing selfitis,” sourced from data compiled from focus group interviews with 225 Indian university students. One of the study’s authors, Dr. Mark Griffiths, distinguished professor of Behavioral Addiction at Nottingham Trent University told NBC News BETTER the scale was a mere by-product of the investigative process of selfitis — not the goal. Borderline selfitis: Taking at least 3 selfies a day without posting them on social media. Gauging how respondents felt about social competition, attention seeking, mood modification and self-confidence, their findings seem to establish a few behavioral patterns: Those with chronic selfitis also had lower self-confidence scores, but not by much. However, those with chronic selfitis had significantly higher attention-seeking and social competition scores than those with borderline selfitis. Though, ultimately, more studies are needed to validate the concept more rigorously, Griffiths and his team may very well be onto something. According to Vogel, “selfiits” fits nicely into what researchers already know about social media use, and how people present themselves on social media. 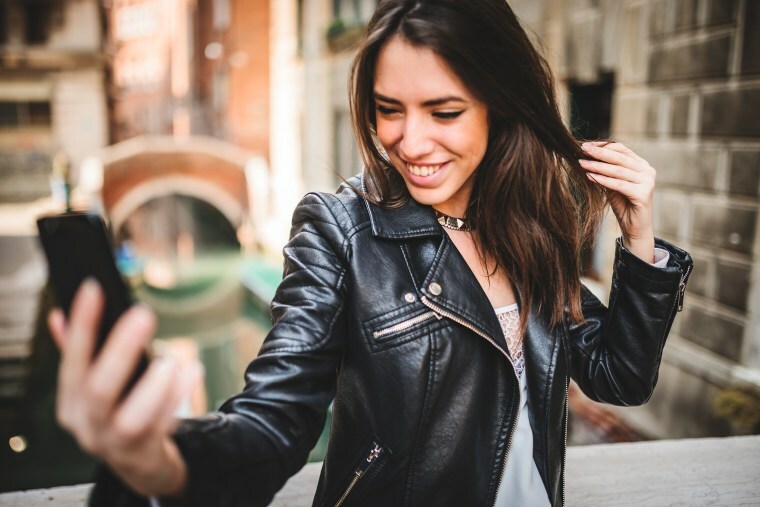 Though there isn’t a clear personality profile of a typical selfie-taker per se, there are certain attributes serious selfie-takers share, which are generally related to appearance and self-image. Selfies do tend to get a lot of likes and comments, even from people who say that they don't like selfies, says Vogel. “It’s so easy to get a lot of positive attention very quickly. You can get dozens of ‘likes,’ and clicking ‘like’ is a very simple way to make someone else feel good,” she says, adding the caveat that people have a tendency to click ‘like’ on other people's selfies even if they're not paying close attention to the picture. What’s more, posting chronically might backfire. “Posting too many selfies is likely to annoy people, and then they might not ‘like’ or comment on future posts if they're annoyed,” she says. “Posting flattering selfies might be a way for some social media users to manage their anxiety about their appearance, though it may or may not be successful,” says Vogel, recalling a study of seventh-grade girls where frequent selfie-takers had more body image concerns than their peers. Yet, interestingly enough, narcissism is much more strongly linked to selfie-taking among men than women. Spending too much time and energy on the appearance of being happy can detract from enjoying experiences that will actually make us happy. A study examining 315 Korean selfie-posters found narcissistic folks are more likely to see chronic selfitis as a good thing, engage in feedback and check out other people's selfies. But, interestingly enough, narcissism didn’t factor into how much one observes others' selfies, or the tendency to comment or ‘like’ on other people's selfies. Basically, selfitis is harmless, but Vogel expressed concern that constant exposure to unrealistic, heavily edited photos — from both celebrities and peers — could have negative effects on a teen’s body image and self-esteem. “I think that today's teenagers are pretty well aware that models are Photoshopped. However, even if they know that their friends are using filters and other apps to edit their selfies, seeing these heavily edited photos of people who are similar to themselves may create unrealistic expectations,” she says.